In the United States, an increasing number of advisors are hosting educational seminars as a new way of engaging prospective clients. According to industry data, Canadian advisors have yet to fully catch on to the growth opportunities that hosting a seminar can create. 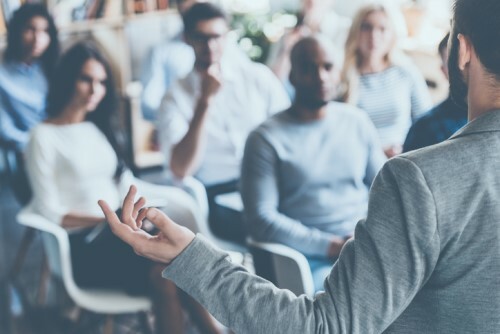 Hosting a seminar provides advisors with a new platform to educate the public on timely issues related to their retirement and financial planning. Traditional marketing strategies only grab the audience’s attention for a matter of minutes (or sometimes seconds), but hosting a webinar or seminar gives an advisor 60 - 90 minutes with people who are eager to learn more about sound retirement planning strategies. 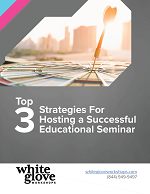 Download this white paper to find out more about the top three strategies for hosting a successful educational seminar.